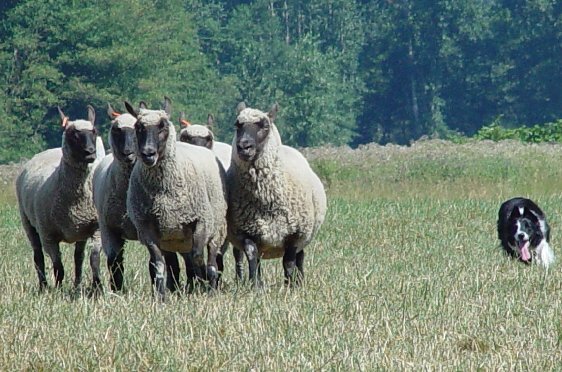 Recently there have been several inquiries from people wanting to know if anyone was using Clun Forest sheep for herding with their sheep dogs, and if so, how they liked them. 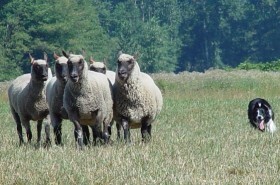 Here in the Puget Sound area of Washington State we have some small farm flocks and one large flock of Cluns. We love using them to train our sheep dogs. The owner of the big flock uses hers for two USBCHA (United States Border Collie Handlers Association)/OSDS (Oregon Sheep Dog Society) sanctioned trials plus fun trials and clinics every year. They provide challenging (but not impossible), exciting runs. Many handlers enjoy these trials because it helps us realize that our dogs need to know how to work heavier but not sour sheep. 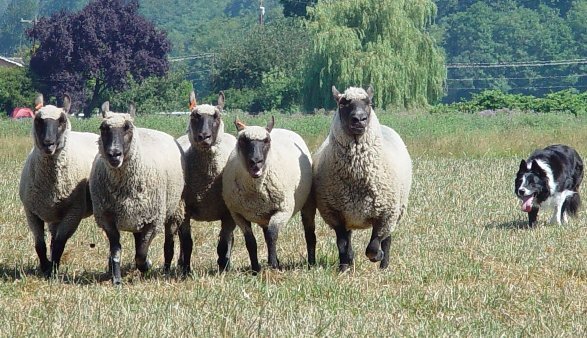 The Cluns are wonderful to work without being confrontational (there are individual exceptions and obviously so if they have lambs). At the trials dogs feel the strong pull of the sheep at various points during the run and to keep them going in the right direction they must be able to cover, hold, and release this pressure. Once they know the dog has control of them, the sheep line out and flow very nicely. Over the past couple of years, we have been thrilled to see our dogs step up to the challenges and our own handling skill improve as we work the Cluns. The herding dog must have enough power to move them where they don’t want to go or pull them away from where they want to go, and yet also release the pressure and lay back to allow them to move. They have to be in the right spot at the right time! Light sheep (hair sheep, Scotties, etc) do not usually offer much resistance to the dogs. 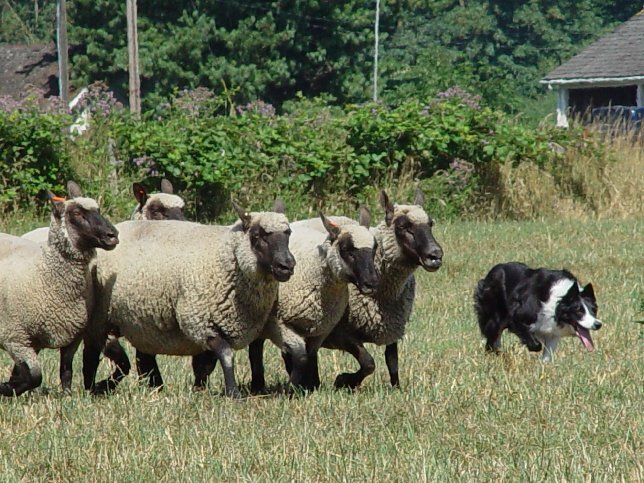 Several top handlers have said that we do a disservice to our herding dogs if we only work them on light sheep because they do not learn how to properly feel sheep.